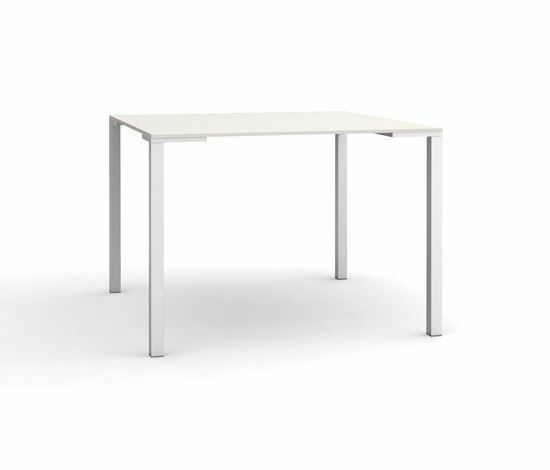 Togo table, suitable for outdoor use as well, extruded aluminium legs mm 40x40 fixed to the top by die-casted aluminium plates. Legs available in polished, white or black powder coated finish. Hpl solid laminate tops, laminate tops available in different colours and different sizes. Available monochrome version.